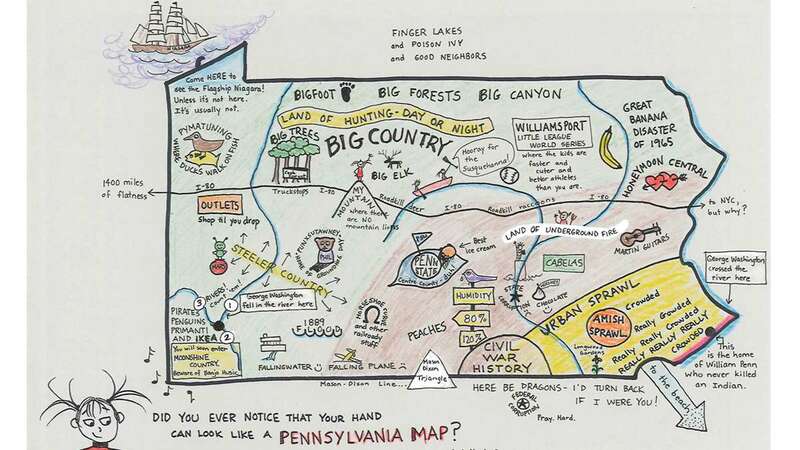 Two weeks ago we published a controversial map of Pennsylvania drawn by WHYY’s digital artist-in-residence and Pulitzer Prize winning cartoonist Tony Auth and asked for your submissions. 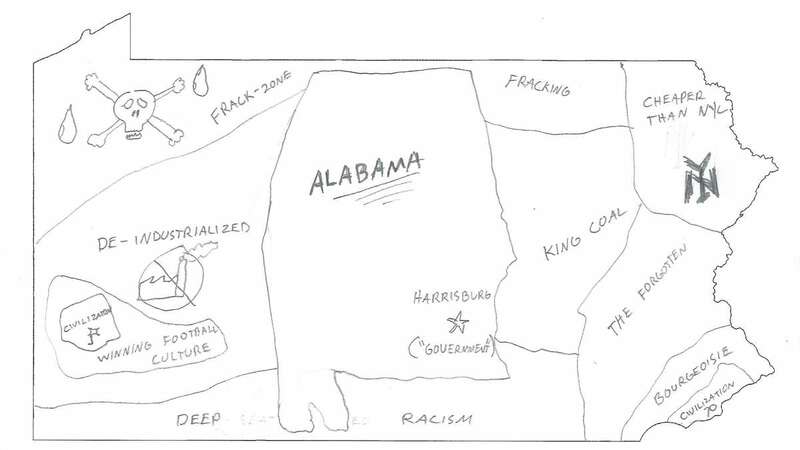 A few readers took us up our challenge and sketched us their versions of the Commonwealth. 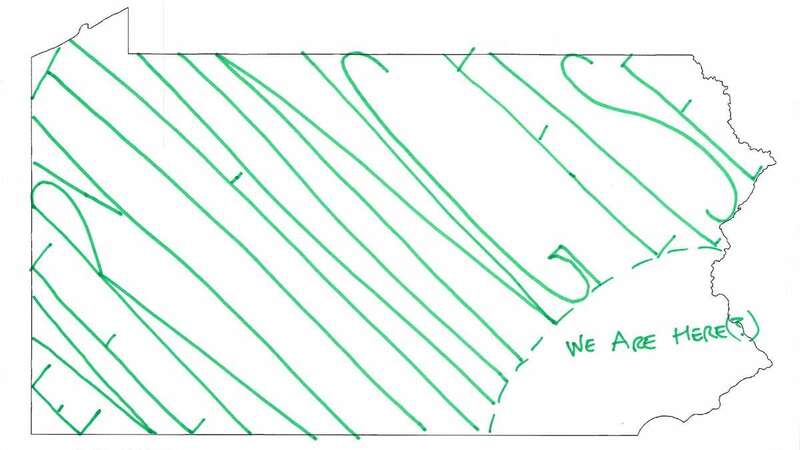 As promised, here are the maps we received and a few that were drawn during our first community forum last week. 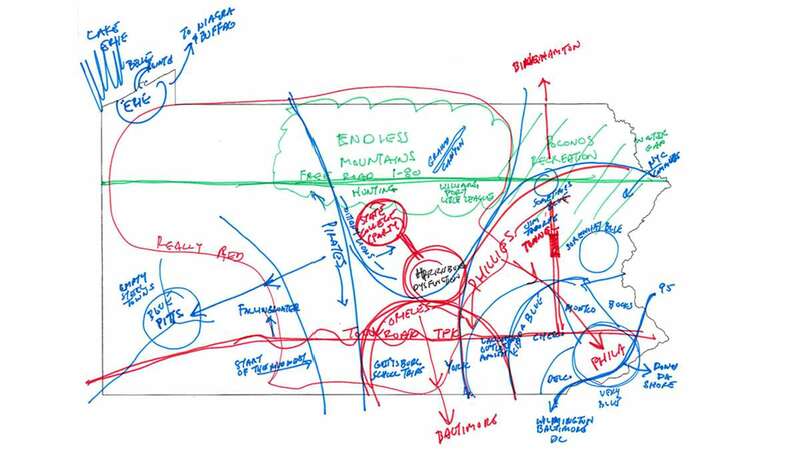 Sue Shaffner, a first grade teacher from Rockton, Pa., took a historical and cultural approach to her map, referencing the Johnstown flood of 1889, Frank Lloyd Wright’s Fallingwater home and the great banana disaster of 1965 near Scranton. George Matysik of Philabundance commented that growing up his Pennsylvania revolved around “the axis of Billy Penn’s hat atop City hall.” But now he sees the Commonwealth according to the percentage of hungry children in each county. 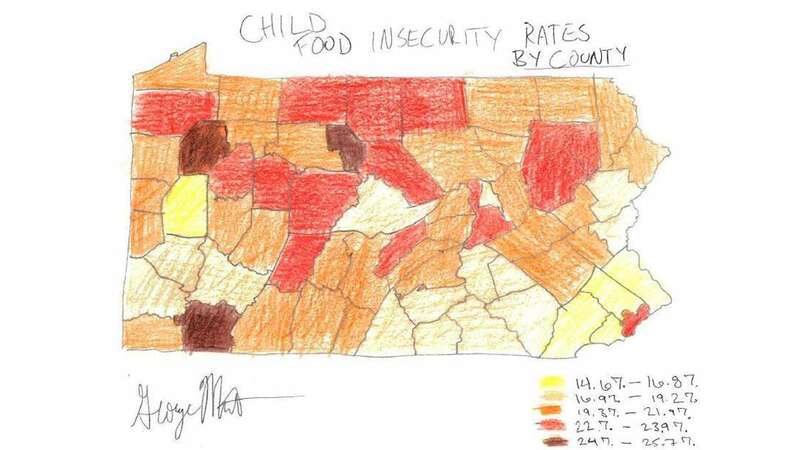 According to his hand-drawn map, child food insecurity ranges from 14.6 -25.7 percent in the state. It’s not too late to submit your map. Attach an image of your map in the comments below, tweet your map to us @Pacrossroads, or send us an email at crossroads@whyy.org.